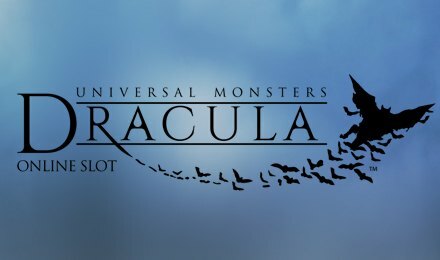 Be ready for a good amount of goosebumps on Dracula Slot! Any time is great to enjoy a game revolving around one of the most famous vampires of all time. It is powered by NetEnt, packed with 5 reels and 40 paylines. Here, you can revisit the 1931 movie based on Count Dracula. As per the story, Dracula left his Transylvanian home to stay in London. Find out more by spinning the reels of Dracula Slot on which you can see the handsome but scary protagonist. You are also taken to a mysterious and foggy backdrop. Symbols on the reels include Count Dracula, Lady, Fat Man, Man holding a bottle and another Man with some cash in hand, as well as A, K, Q and J. As you spin the reels, watch how Dracula disappears and reappears again with his frightening fangs! Have you loaded Dracula Slot? Get started by selecting your favourite stake amount on the Coin Value display. You can also press “Max Bet” to pick the highest stake in a single click. Auto Play is also at your disposal. It lets you choose 10, 25, 50, 100, 250, 500, 750 or 1000 games that are played one after another. Bet Levels: Head to the Level field to pick 1 to 10 bet levels. Amount of Paylines Selection: The 40 paylines stay active during the entire gameplay. Coin Values: The various coin values on Dracula Slot are £0.01, £0.02, £0.05, £0.10, £0.20, £0.50 and £1.00. The Wild card on Dracula Slot is represented by the big, blood-red ‘W’ icon. It turns up on reels 2, 3 and 4 to substitute for any other symbols. Plus, the Lady and Dracula icons appear as Stacked on reels 2 and 4, respectively. The main bonus feature on Dracula Slot is the Free Spins round. It is activated when you line up the fully stacked symbols of Dracula and the Lady on reels 2 and 4. Obtain 10 free spins after watching a scene which includes both characters. Land an extra symbol on reel 3 during this feature to receive 2 additional spins. Want to know more about the Super Bat Feature on Dracula Slot? It is active during the main game, where Dracula randomly transforms into a swarm of bats. These bats fly onto the reels and turn a set of icons into corresponding symbols. Your wins are then evaluated. Step into a world of horror by launching Dracula Slot at Moon Games. Good luck for your gameplay!